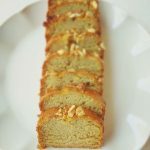 Egg free Cinnamon Banana Bread | Banana Cinnamon Cake – Classic combination of banana and cinnamon. Bake this classic cake and enjoy with a cup of hot chocolate or coffee. I have shared various muffins and cookies recipes, here on the blog. 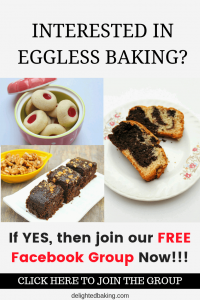 Now, I thought, I should share a tasty loaf cake recipe. Personally, I love loaf cakes. They are simple enough to make anytime. They don’t need frosting as such and thus can be eaten freshly baked from the oven. Cake lovers will agree with me that the aroma of a freshly baked cake, directly from the oven, is something else. You can’t ignore that aroma. You have to eat that cake right there. Therefore, I think it is the right time to share a loaf cake recipe with all of you. If you have just started baking at home , I’ll recommend you to buy a good loaf pan. If you continue baking, a loaf pan is one such thing you will need for sure. We all love our Tea-Time. And we all want to accompany out tea with some snacks or cookies or biscuits. This cinnamon banana bread is perfect for tea time. Enjoy your hot cup of tea with a piece or two of this delicious, full of cinnamon aroma, and an exotic banana flavour cake. This cinnamon banana bread is also good for breakfast. It’s healthy as it contains banana. If you want to make it healthier, simply replace all purpose flour with wheat flour. Cinnamon gives a great flavor to this banana bread. You can also convert this cinnamon banana bread into cinnamon banana nut bread. You can add a variety of nuts into this bread like walnuts, almonds, cashew nut etc. In my opinion, the best option among these would be walnuts. Banana, cinnamon and walnut – Perfect !!! The method of making this bread is quite simple. We will firstly mash the bananas. You can either mash roughly diced bananas using a fork or go the second way – puree the diced bananas in a blender. This is what I do. Then in a mixing bowl, we will add oil and sugar. I’ll recommend you to use powdered sugar. For this, simply blend the granulated sugar in a blender jar. Whisk the oil and sugar for a minute. You can either use a hand whisk for this purpose or a hand blender or a stand mixer. Add yogurt and mix well. Yogurt will provide softness to this bread. After this, we will add the pureed (mashed) bananas. Again we will mix for a minute or till a homogeneous mixture is formed. Add cinnamon powder and mix well. We will mix the dry ingredients in a separate mixing bowl. So keep a sieve on the mixing bowl. Add all purpose flour, baking powder and baking soda. Now we will add the dry ingredients into the wet ingredients. Mix till a smooth batter is formed. Remember not to over mix the batter. We will bake this at 180 C / 350 F for 30-35 minutes or till a toothpick inserted in the bread comes out clean. This cinnamon banana bread is one of the most loved bread in my family. Do try this recipe and I hope you would also like this a lot. If you have any questions, feel free to ask them in the comments below. 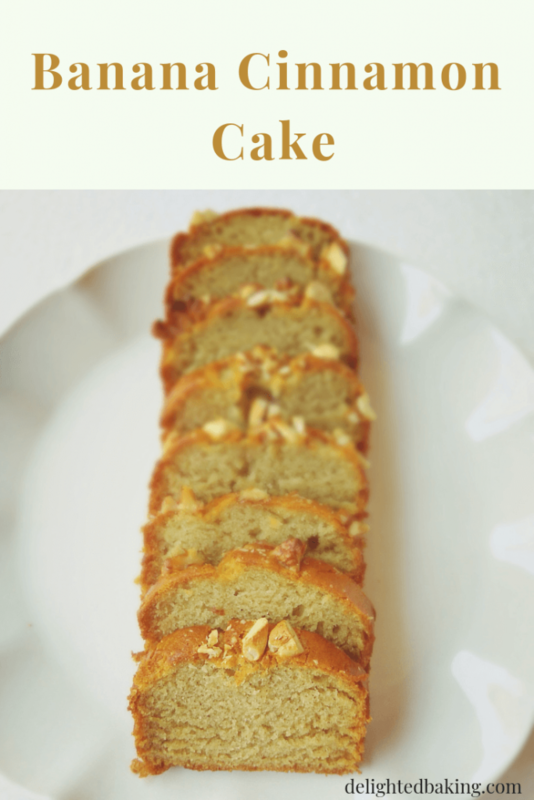 Banana Cinnamon Loaf Cake is a soft cake which is full of flavour. Cinnamon and Banana is one of the best combinations, one can eat. Ideal for tea time. Puree one cup of diced bananas. Sieve flour, baking powder, cinnamon powder and baking soda. Keep this aside. In a separate bowl, add oil. Add sugar. Whisk it till the sugar melts. Add yogurt. Whisk it properly. Now add the pureed bananas. And mix nicely. Add the dry ingredients to this wet mixture. Pour this mixture into the cake tin. Bake it at 180 C / 350 F for 30-35 minutes or till a toothpick inserted in the cake comes out clean. Your tasty banana cinnamon cake is ready.